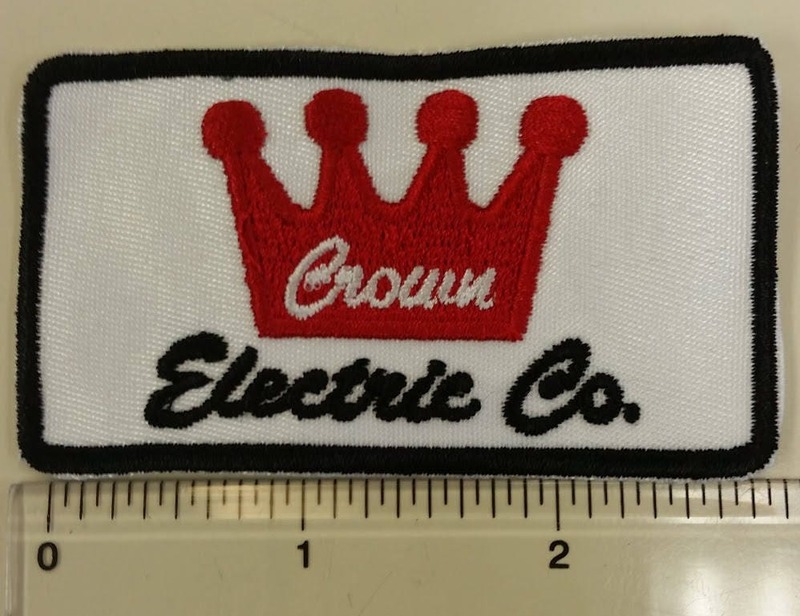 This fun patch measures approximately 2.5"W X 1.5" H. It is sewn onto a white patch background with a red crown, black border and bottom text, white crown text. 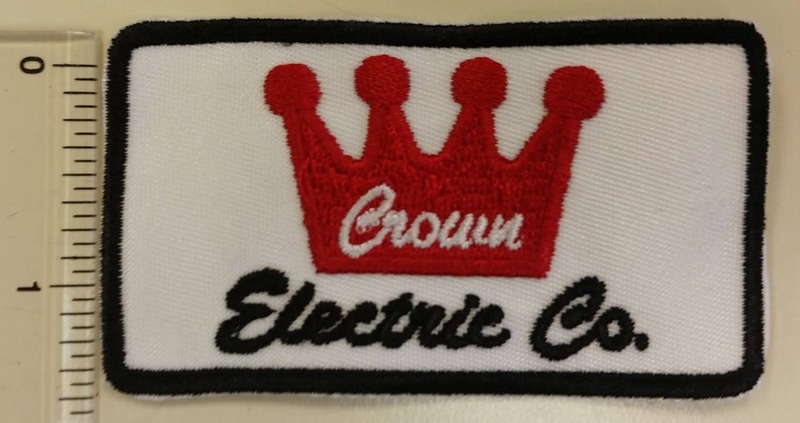 Anyone who is a fan of Elvis or rockabilly will enjoy this patch. OH YEAH!!! 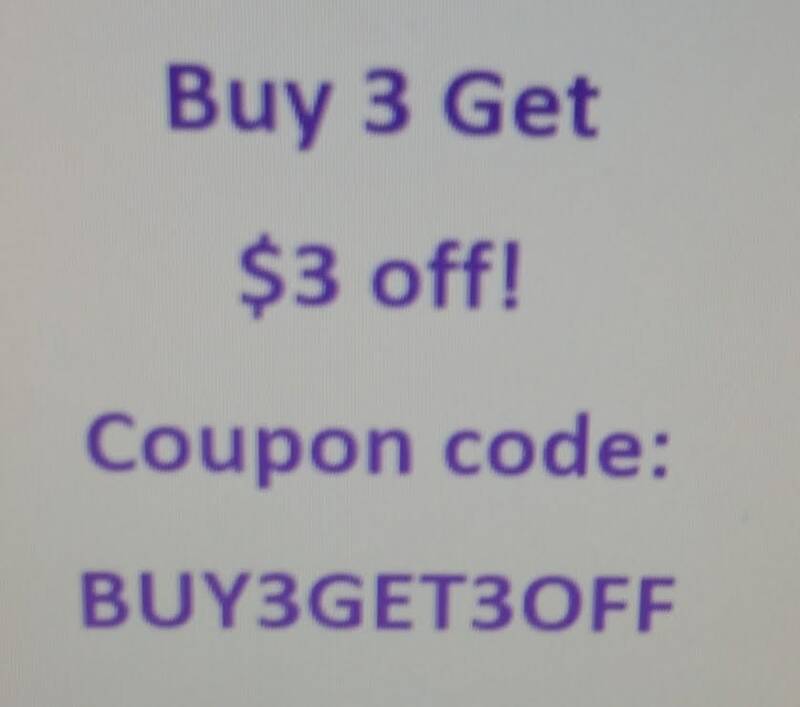 GOING ON A ELVIS JACKET!!! YESS!!!!! I am an Elvis fan-natic to say the least. 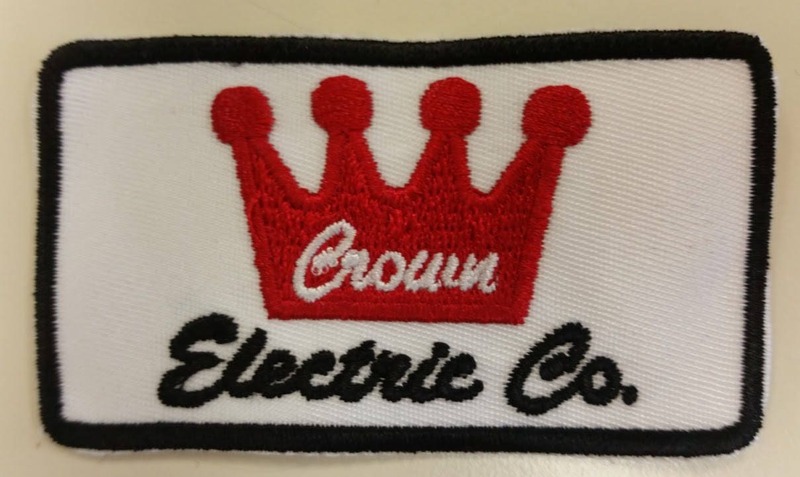 Love this Crown Electric Co patch, I want to recreate his work shirt.